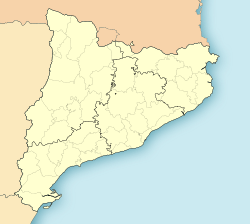 Sant Vincenç de Castellet is a municipality in the comarca o the Bages in Catalonie, Spain. It is situatit near the confluence o the Llobregat river an the Cardener river. The railwey station serves baith the FGC line R5 atween Barcelona an Manresa an the RENFE line atween Barcelona an Zaragoza. The C-1411 road links the municipality wi Martorell an Manresa. The ruins o baith Castellet castle an o a Roman tomb (third century, kent locally as la Torre del Breny) are visible.